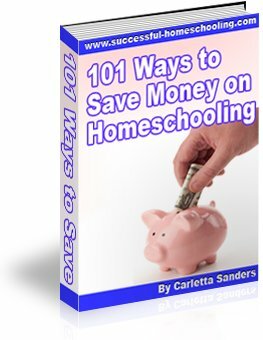 Are you looking for a good homeschool science curriculum? Here are some tips for choosing a home school science program that's right for your child. Life science - the study of living things such as plants, animals and the human body. Physical science - the study of machines, light, temperature, sound, force, gravity, magnetism and other physical properties. Earth science - the study of geology, weather and astronomy. These subjects don't have to be taught using a formal curriculum, especially in the early years. If you're interested in learning more about teaching science informally, check out these tips for homeschooling science. During the middle school and high school years, you will want to move on to advanced courses like biology, chemistry and physics. You can teach these courses using programs designed specifically for home use, or take classes through a homeschool co-op, community college or other lesson provider. When choosing a homeschool science program, consider your child's learning style. If your child enjoys hands-on activities, look for a program that includes plenty of projects and experiments. If your child is more of a visual learner, choose a program that is heavy on reading that includes vibrant photographs, illustrations and diagrams, along with informative, engaging text. Make sure your chosen curriculum includes lesson plans that don't require you to have an extensive background in science, along with simple, step by step instructions for experiments. All suggested activities should be safe and age-appropriate, and designed to include readily available, inexpensive materials. Experiments should compliment information taught in the text and encourage critical thinking. Take time to understand the religious nature of the science curriculum you purchase. Science can be taught from a creationist perspective, an evolutionary perspective, or a neutral perspective. Make sure you are comfortable with the approach of the program you choose.